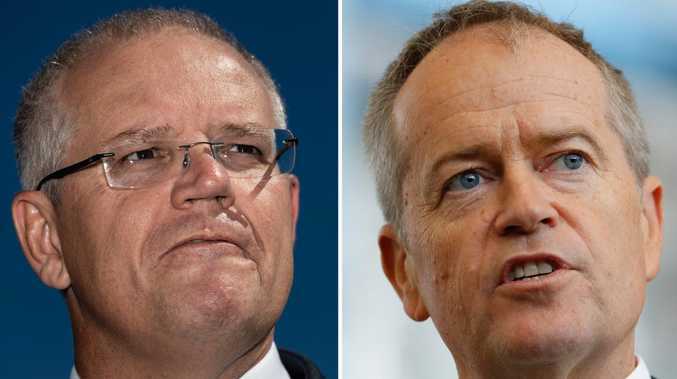 WHILE Australia is seen as a nation largely immune from the risks of earthquakes, experts have revealed that Australia is susceptible to a devastating tsunami. Given that more than 85 per cent of Australians live within 50km of the coast, the consequences could be devastating. Geoscience academics say tsunamis have reached Australia multiple times in the past century, lashed by waves caused by earthquakes as far away as South America. "In 1960 a large earthquake happened in Chile and we recorded tsunami waves in Sydney," University of Newcastle coastal science senior lecturer Hannah Power said. "You know how far away Chile is?" Her research has led to detailed modelling of tsunami risk and flooding in Australia. Ms Power pointed to tsunami activity in Sydney in the 1960s. "In 1968, the operators of the Glebe Island Bridge reported unusual currents and sailors at Middle Head in Sydney reported unusually large waves," she said. Speaking to Australian Geographic, tsunami expert Ted Bryant said there was evidence of "monumental" tsunamis over the past 10,000 years washing over Sydney Head, which protects the harbour, and mega waves washing reaching the Blue Mountains. Ms Power was reluctant to agree with Bryant's hypothesis. "The data used to come up with those hypotheses is based on sediment that, he infers, was placed there by historical placements," she said. "There's some uncertainty around that." ARE WE PREPARED FOR A DEVASTATING TSUNAMI? In Australia, Geoscience Australia has implemented systems to assess tsunami risk and report activity. Joint Australian Tsunami Warning Centre (JATWC) warning systems alert the Bureau of Meteorology within 10 minutes of an earthquake occurring. It then uses sea-level monitoring stations to monitor if the tremor has caused a tsunami and follow its speed and path. WHICH AREAS ARE AT RISK? 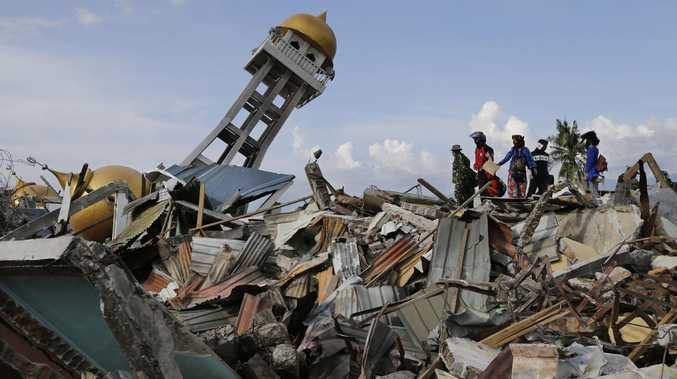 Jane Sexton from Geoscience Australia said there was a "ring of fire" where tectonic plate boundaries collided, including the Java Trench, the Sumatran trench and the southern parts of Indonesia. Research also suggests Australia could be at great risk of underwater landslides triggering tsunamis. These landslides are described as "sporadic" by experts, and can cause tsunamis that can range from being minor to deadly and wildly catastrophic. "Underwater landslides have potential to generate tsunamis as well. There is still uncertainty around how frequently they occur and the size of the tsunami they generates," said Ms Power, who has written on the subject. In 2011, the Tohoku tsunami was attributed to a series of smaller underwater landslides and an earthquake, and resulted in more than 16,000 dead or missing. Ms Sexton said "subduction zones" throughout most of NSW and areas in Queensland and Tasmania were monitored for tsunamis. If one was detected, the JATWC would be issue a warning to the public, urging Australians in concerned areas to flee inland to higher ground. "Our warning system is set up so we can always give 90 minutes of warning," Ms Sexton said. "The situation Australia is in is much better than our neighbours to the north. If it was coming from Indonesia, it would take three to four hours to transit from Indonesia. It would allow three to four hours to evacuate." Historical evidence uncovers a story of thousands of tsunamis hitting Australian shores and washing over Sydney Heads, the imposing headlands that border Sydney Harbour. Tsunamis are major natural disasters usually caused by underwater seismic activity, such as earthquakes or volcanoes. They can also be caused by seismic or other devastating activity on land, such as glacier falls, landslides or meteorites falling to Earth. Tsunamis often aren't single waves but a series, referred to by surfers as a "set". Dramatic seismic activity and meteorites can cause these waves to travel across the ocean towards land at speeds of a hundred kilometres or more. Earthquake and volcanic activity in neighbouring regions such as New Zealand and Indonesia has triggered tsunamis travelling to Australia in the past. Tsunamis are powerfully destructive and leave great wreckage in their wake, with the spread of disease a huge risk. 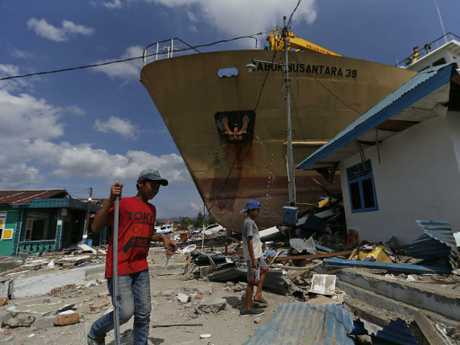 The devastating tsunami that recently made landfall in the Sulawesi province of Indonesia was triggered by a 7.5-magnitude earthquake. The destruction has been massive and the clean-up overwhelming, with about 10,000 rescue and clean-up workers picking through wreckage and searching for survivors. The official death toll is 2073, with rescue workers telling families there was "very little hope" to discover any further survivors. "It's been too long - the bodies are no longer intact. At most we can find maybe a skull, or some bone fragments," search volunteer Hadrianos Poliamar told Al Jazeera. "We want to help as many as we can."